I was very honored this week to be one of two bloggers presented with the very first "Rose Blogger Award" by Lucie LeBlanc Consentino of Lucie's Legacy. (My co-honoree is Evelyn Thériault of A Canadian Family.) The Rose Blogger is "awarded to bloggers who [keep] the memory of their ancestors alive as well as for excellence in content and visuals," and is named in honor of Lucie's mother, Rosanna "Rose" Levesque LeBlanc. There are several awards being passed around the genealogy blogger community these days, and while it's always wonderful to be reminded that someone really is out there reading, this particular honor from someone I so admire really means the world to me. Thank you, Lucie! Oaks with Spanish moss, Oct. 2009, Laura Plantation, Vacherie, Louisiana. Digital photo by Liz Hall Morgan, copyright 2010. Robert Bunyan Hall and Elia Légère Hall are my paternal grandparents. They are buried in Roselawn Cemetery in Sulphur, Louisiana, which is in Calcasieu Parish (county). Elia was the daughter of Constant Legere (Légère, in some records as Leger) and his fourth wife, Marie Octavie "Tavie" McBride. She was born in Ossun, a small community near Scott, Louisiana, in Lafayette Parish. Grandma Elia's family is the source for the rich Cajun, Acadian and French-Canadian heritage I so enjoy exploring. Robert was a brick mason and contractor, and he and Elia raised seven children in Southeast Texas and Southwest Louisiana, some of whom are still living. They moved to Sulphur, Louisiana, in the early 1930s and lived there until their deaths. 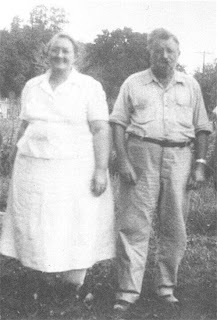 You can read more about my Irish Protestant grandfather and Cajun Catholic grandmother and their relationship in a previous blog post here. Top two photos and text copyright 2010 by Liz Hall Morgan; bottom photo courtesy of the Hall family. Note: "Treasure Chest Thursday" is a theme used by some genealogy bloggers. It's sort of a fun weekly "Show & Tell" for grownups. Portrait of William Hadden Cotter, unknown medium on stiff paper board of unknown type, c. 1856-1870, Ringgold, LA, privately held by the blog author. Digitally edited photo of the portrait above, by the blog author. Portrait of Queen Ann Elizabeth Fariss Cotter [a.k.a. Elizabeth Ann Faress, Farris or Fariss], unknown medium on stiff paper board of unknown type, c. 1856-1870, Ringgold, LA, privately held by the blog author. My dear departed cousin and an early genealogy cheerleader of mine, Zola Scott Hardy, a respected genealogist herself, gave the portraits to me before she died. I am truly honored that she entrusted the portraits to me. (She would love all this newfangled blog stuff and how easy it is to find cousins now on the Internet!) I recently took them out from storage and digitally photographed them and they have been holding up fairly well for 150+ years. I had been pondering how archivally to frame them without breaking the bank, but now I think perhaps I should just frame the digital photos and keep the original portraits in flat archival boxes. Advice? William Hadden COTTER was born 26 Aug. 1825 in Jefferson County, GA to David COTTER & Mary HADDEN. He married Elizabeth Ann FARISS 19 June 1856 in Bienville Parish, LA, and died 23 June 1901 near Ringgold, Bienville, LA. Elizabeth Ann FARISS (FARESS, FARRIS, etc. ), or Queen Ann Elizabeth (on her probate record), or "Lizzie," as she was variously called, was from Catahoula Parish, LA, born 5 Mar 1837 (perhaps in that parish, but it's unclear), to David FARRIS and Lucy DAVIS, and died 22 Feb 1870, near Ringgold, Bienville, LA. 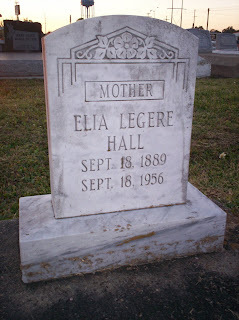 Both are buried in Providence Cemetery, in Ringgold, Bienville, LA. 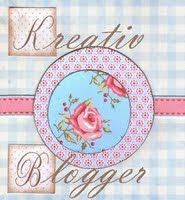 Text/images copyright 2010 by the blog author. né à North Bridgewater, Mass. at the age of 88 years. décédée [sic] le 16 Janvier 1913. Randy Seaver over at Genea-Musings posts genealogy blog "assignments" every Saturday called "Saturday Night Genealogy Fun," or SNGF. They do look like fun, so I'm going to start doing them, though they may very well appear here on Sundays or Mondays. This week's assignment asked readers to post our "top genealogy moment" of 2009. While nothing tops marrying my 7th cousin once removed, that wasn't done for genealogical purposes, so I would say my top genealogy moment would be meeting my recently-discovered Sonnier cousins in Scott, Louisiana. The four sisters and brother I met, children of John B. & Aline (Legere) Sonnier (and my half-2nd cousins), were delightful and welcoming, as were their relatives. I felt like I'd known them for years, and we're still in touch. And so, cousins who descend from my great-grandfather Constant Legere's first marriage (to Estelle Babineau or Babineaux, the Sonniers' great-grandmother) and his fourth and final marriage (to Marie Octavie "Tavie" McBride, my great-grandmother) are now reunited. • My 2nd cousin Janice, who shares great-grandfather Newton King Brady Pate of Ringgold, Louisiana, with me, voluntarily took photos of my McCoy ancestors' Delaware landmarks and obtained burial records for me while on a trip there. And she isn't even related to this family branch! 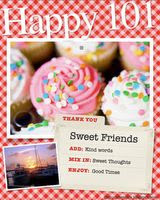 Thank you so much, Janice--one of these days, we really have to meet in person! • My husband and I honeymooned in New Orleans, the first time I've returned since discovering my colonial NOLA ancestry. Walking on the French Quarter land where I now know my ancestors once lived gave me a whole new perspective on the Crescent City. Wishing you & yours a New Year full of wonderful genealogical and non-genealogical moments! No, it's not an award for "Kreativ" spelling--as a sometime editor, I must point out that the badge was "kreated" by a Norwegian, thus the non-English spelling. 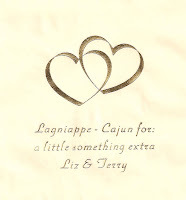 It is, however, a designation from a fellow Louisiana genealogy blogger, Jennifer Trahan of Jennifer's Genealogy Blog, because she likes my blog and has recommended it to her readers. Thanks for the encouragement, Jennifer. I do appreciate it. 1. I am a Southwest Louisiana native who has been a Cajun "expatriate" in Southern California for 20 years now. I regularly crave boudin, gumbo and my mom's peach cobbler. 2. I am a 10th-generation Louisianian, if you count my ancestors who colonized Mobile, New Orleans, and the Illinois Country, all part of French Louisiana before America even existed. 3. My bachelor's degree is in music (flute performance); I've also studied journalism and fiction writing. 5. Only about 1/4 of my ancestry is French; I have more British Isles ancestry, but because I grew up in Southwest Louisiana, I feel more Cajun than anything else. 6. I tend to name pets after food or musicians: Roux, Miles, Ella. 7. Despite identifying most with my Cajun ancestry, I don't cook very much or speak Cajun French (I do speak & read a little "standard" French), nor am I Catholic (which is sort of like being a Cajun "expatriate" even within Louisiana). I definitely have a Cajun stomach though--the Tony Chachere's is on the dinner table right next to the salt & pepper. 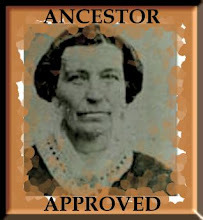 Louisiana Lineage Legacies - Karen's blog has not been active lately, but perhaps I can persuade her to post again. She's an African-American researcher with North La. roots. New Orleans Ancestry - Jennifer is a busy graduate student, but I'm hoping she can fit a post in here & there--selfishly, because my New Orleans ancestors are a current passion of mine. 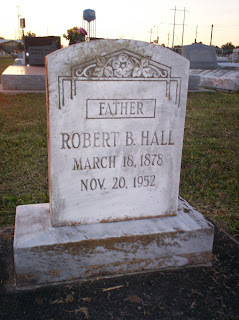 Last2cu - Newish blogger Ruth is in Arkansas and writes about cemeteries and related topics. It's not Louisiana, but she's a neighbor and definitely Southern! Check out her wonderfully-titled post "Tell Me About the Dash." Note: "Follow Friday" is a daily blogging theme used by many bloggers to spotlight other blogs or resources of interest to their readers. In honor of "Follow Friday," I'd like to occasionally recommend resources of particular interest to those researching Louisiana ancestors. If you have Cajun roots, you will no doubt find the Acadian and French-Canadian Ancestral Home website of great interest. From Acadian census records, to the fate of your ancestors during the "Grand Dérangement," to their journeys to Louisiana, you can spend hours absorbed in the wealth of material on Lucie LeBlanc Consentino's meticulously researched site. The Ancestral Home also serves as the main site for Acadian GenWeb. Lucie is a very well-respected educator, speaker and researcher specializing in Acadian genealogy. She writes a companion blog for the site and a personal family history blog, "Lucie's Legacy." She also serves as the helpful and congenial administrator of the Rootsweb "Acadian-French Canadian" mailing list, a great group. Now I must caution that beginners in Cajun genealogy may find all this info a bit overwhelming. If you're still working in Rev. Hebert's "Southwest Louisiana Records" volumes, you can wait before diving headfirst into Lucie's site. But if you need a little motivation for your research, don't hesitate to take a peek. It will make you want to get going on your Cajun ancestors so you can find out how you're related to those fascinating Acadian pioneers. If you're ready to explore where your ancestors were before they got to Louisiana, this is a must-use resource. There's a reason it's my first "Follow Friday" recommendation, after all!